Apple has announced the iPhone 8 and iPhone 8 Plus (PRODUCT)RED Special Edition which will be available to order from tomorrow, April 10. 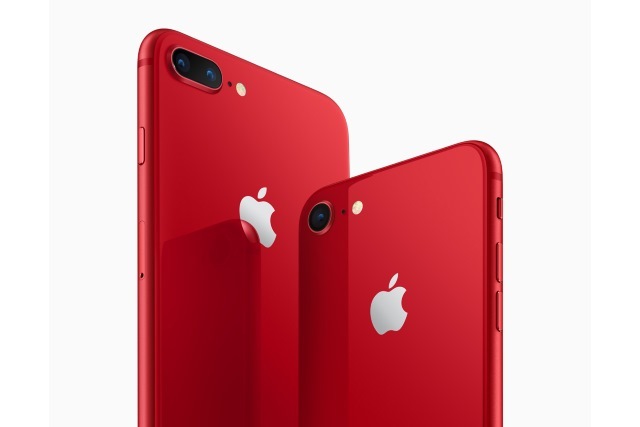 Like last year's iPhone 7 and iPhone 7 Plus (PRODUCT)RED, the new handsets feature a red finish and proceeds from sales will help to raise money for Global Fund HIV/AIDS grants. In addition to the phone, Apple has also announced a new $99 (PRODUCT)RED iPhone X Leather Folio case. Since teaming up with RED more than a decade ago, Apple has donated more than $160 million. This figure is set to rise as the company explains: "A portion of proceeds for all (PRODUCT)RED purchases go directly to Global Fund HIV/AIDS grants that provide testing, counseling, treatment and prevention programs with a specific focus on eliminating transmission of the virus from mothers to their babies." iPhone 8 and iPhone 8 Plus (PRODUCT)RED Special Edition will be available in 64GB and 256GB models, and pricing starts at $699. Online ordering opens tomorrow, and from April 13, they will be available to purchase in store in Australia, Canada, China, France, Germany, Hong Kong, Japan, New Zealand, Singapore, the UK and the US.